A decade after September 11, 2001, the nation continues to mourn what was lost on that sunny Tuesday morning: nearly 3,000 lives, and the innocence of a nation that will be forever changed. Many of us lost loved ones in those flames and every single one of us will never forget that day. LeRoy W. Homer Jr. was the first officer and co-pilot of United Flight #93 enroute to San Francisco the morning of September 11, the flight was diverted to Washington, DC before crashing into a deserted field in Shanksville, Pennsylvania. Had it not been for the heroic efforts of crew members such as LeRoy, the plane would have crashed into its intended target–the US Capitol–destroying more lives and the symbol of a nation united. 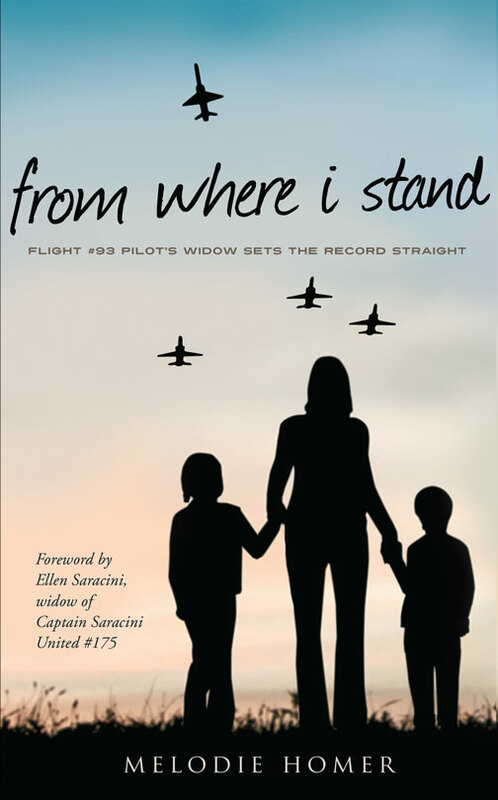 Written by Homer’s wife, Melodie, From Where I Stand chronicles the events of that singular day and the “new normal” that ensued: medial calling for a quote every time a story broke related to September 11; raising children and celebrating their milestones while living with post-traumatic stress disorder; and standing up to LeRoy’s employer, United Airlines. How does one move on when their husband and father is headline news with little privacy to mourn? From Where I Stand is Melodie’s uplifting journey of how she moved forward as the eyes of the nation watched her every step. The killing of Osama bin Laden on May 2, 2011 may have been a victory for the country but for the individuals who were deeply and directly affected by his actions; his death did little to end the nightmare. From Where I Stand is a story the nation needs to hear, so we can all be reminded of this dark period in time, learn from a courageous women how to move forward and share in the triumph of this amazing woman as she rebuilds a life for herself and her children.